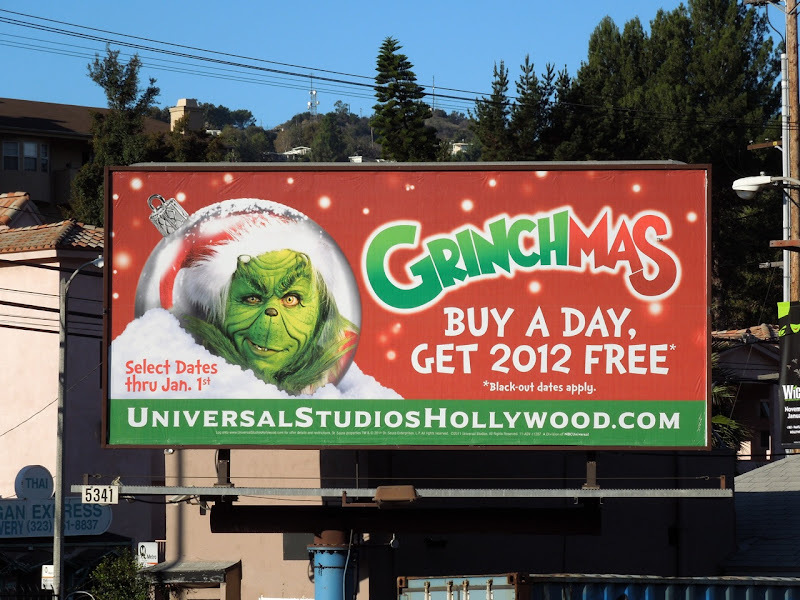 In Ron Howard's 2000 big screen live-action adaptation of Dr Seuss' How The Grinch Stole Christmas, funny man Jim Carrey played the titular green-furred 'Grinch'. 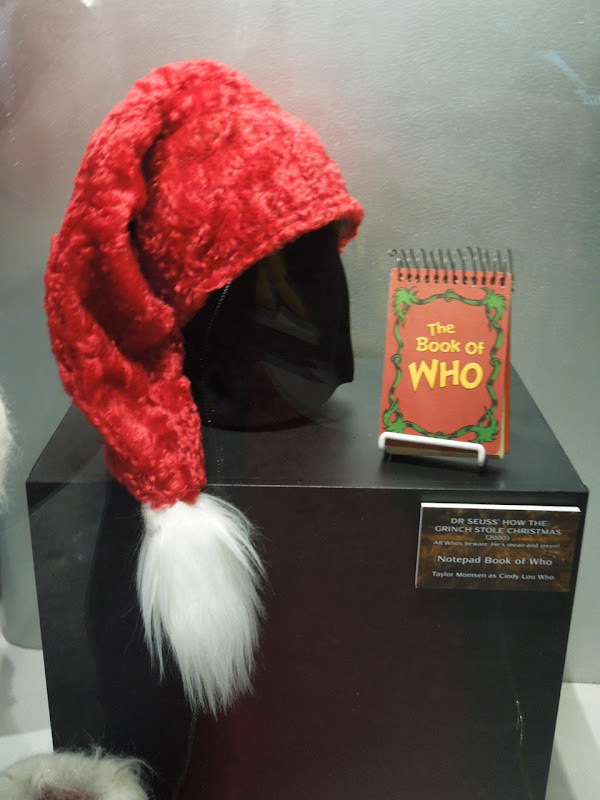 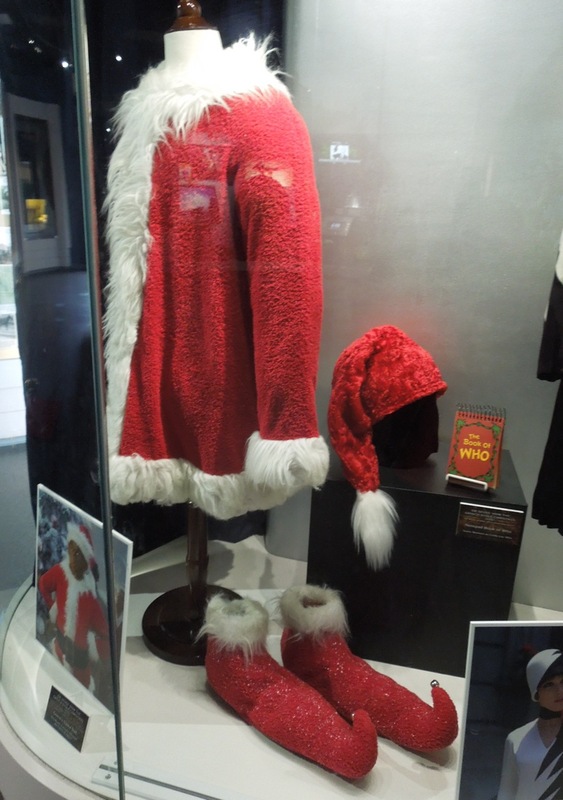 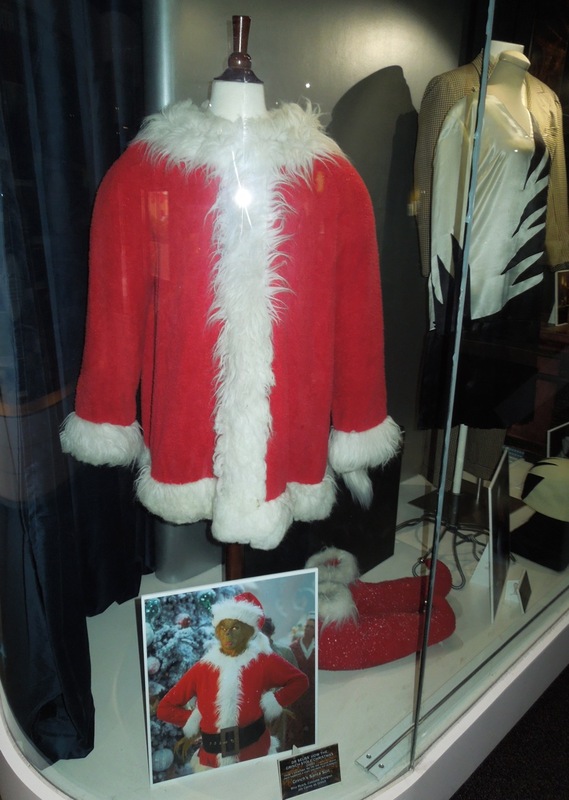 I know it's strange to see such a festive costume on display outside of the Holidays, but The Grinch's Santa suit designed by Rita Ryack, alongside The Book of Who prop, was photographed at Universal Studios Hollywood on April 26, 2012. 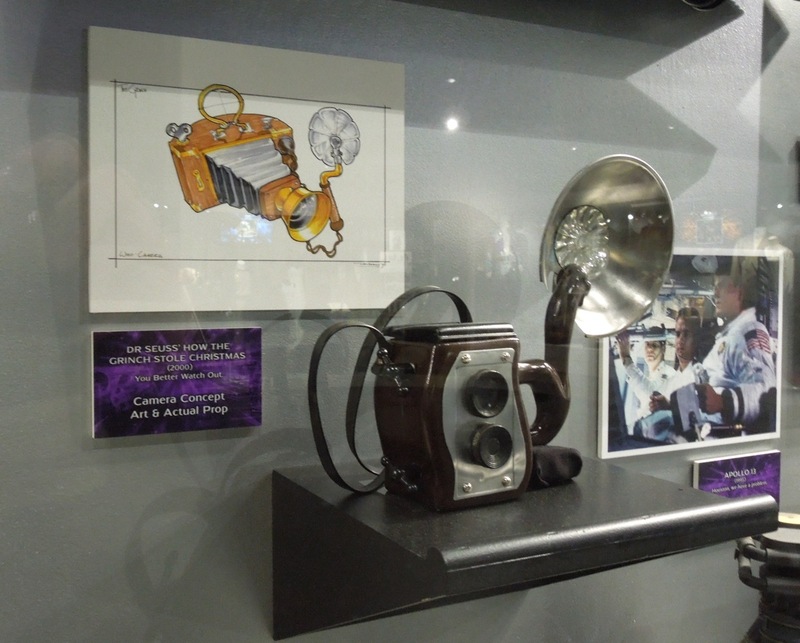 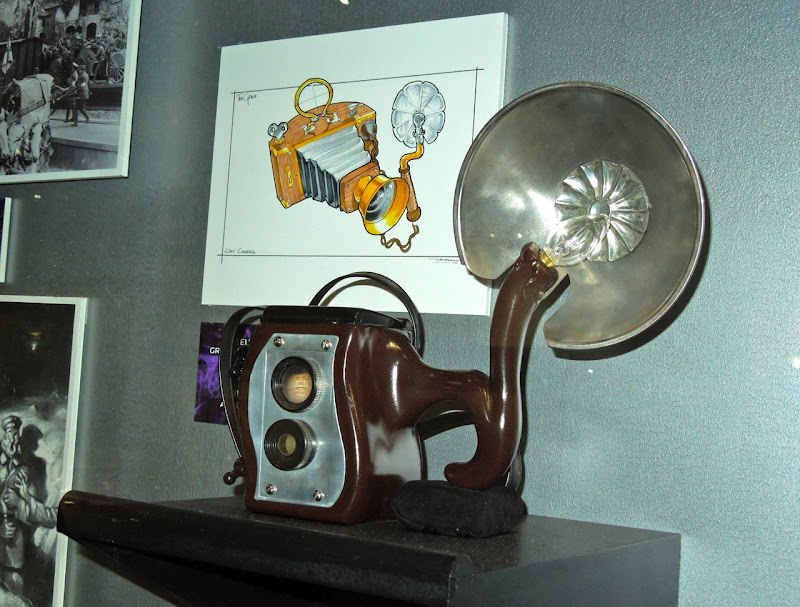 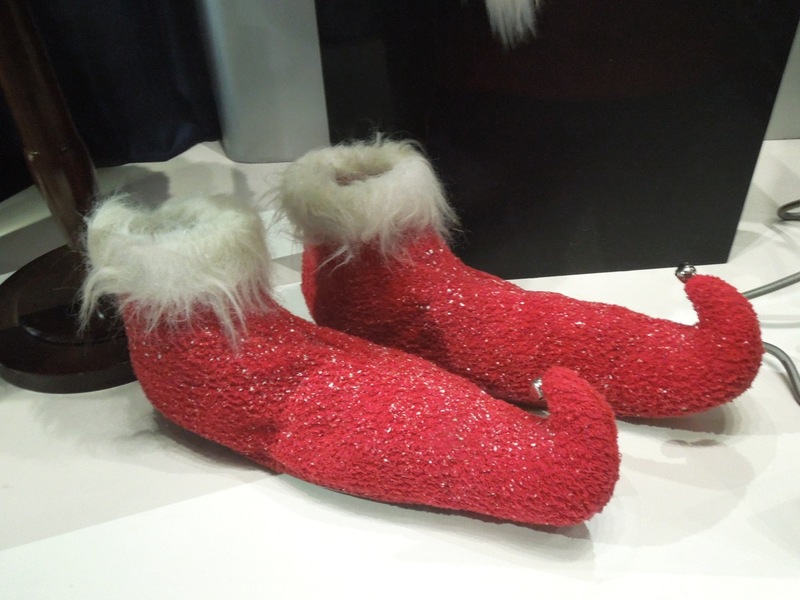 In addition to the original Santa suit, the exhibit also included the concept art and camera prop featured in the fantastical movie. 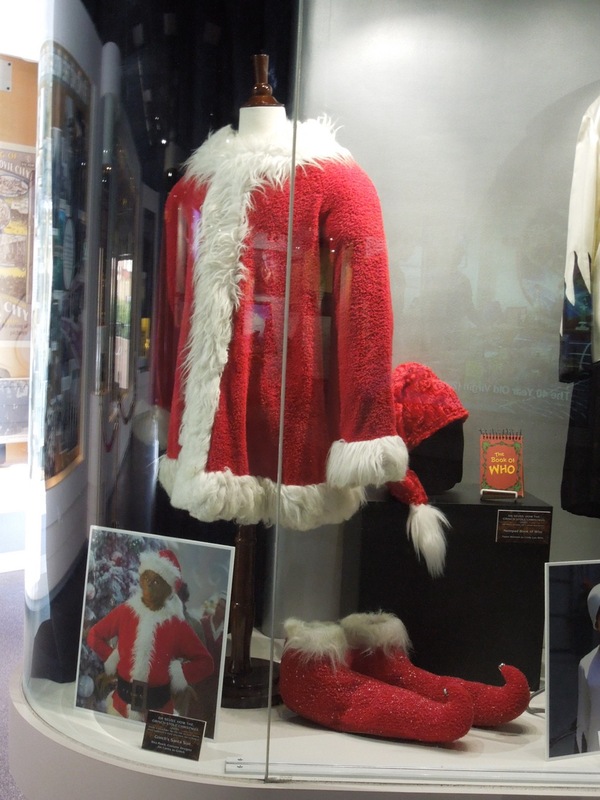 If you're a fan of the film, be sure to also check out all these other original models, animatronics, props and masks from The Grinch on display here at Hollywood Movie Costumes and Props.